Newsletter GeOnG - The full agenda is out, final 10 days to register! THE 2018 GEONG AGENDA IS OUT! The final agenda of the 2018 GeOnG forum is out! You can now discover the speakers and abstracts of all 8 roundtables, 22 workshops as well as more information about the speedgeeking, lightning talks, fail fest, and evening events. GeOnG 2018 starts in 2 weeks! Save your seat by registering now: the deadline to get your ticket is Thursday 25/10 at midnight. In order to improve your experience as a participant, we are kindly asking you to sign up to the workshops and roundtables you'd like to attend before the conference, so we can better plan ahead all logistical aspects. Please keep in mind that you can sign up to up to 3 roundtables and to up to 5 workshops (3 on Monday & Tuesday, and 2 on Wednesday). This will allow us to guarantee you'll participate to the sessions of your choice. Signing up for the short sessions - fail fest, speedgeeking and lightning talks - is not required. For those of you who already have a conference ticket, you can directly go to the platform below. Sign-up for the workshops & roundtables! Once you are on the platform, select "Add activities", enter your ticket number and start signing up. For more clarity, you can sort the sessions per day by clicking on the "clock" button (see below). If you don't already have a 2018 GeOnG ticket, please start by registering to the event and then you'll be automatically asked to sign up to the sessions of your choice. Don't hesitate to contact us if you have any questions. Thank you for your understanding! How to get to Chambéry? Where to sleep during the GeOnG? How to find your way around? What to do in case of problems? All the answers are available on the GeOnG 2018 website. As a reminder, all 3 lunches and the dinners on 29/10 and 30/10 are included as part of the conference tickets. All participants will also be offered refreshments in the morning and afternoon during the breaks. The Agence Française de Développement (French Development Agency) is France’s inclusive public development bank. AFD commits financing and technical assistance to projects that genuinely improve everyday life, both in developing and emerging countries and in the French overseas territories. During the GeOnG, you'll be able to meet AFD representatives during the plenary session and at their stand. On Tuesday 30/10, AFD will lead a workshop on "GeoPoppy, a low-cost portable web-GIS server for offline geographic data collection", with the support of Nitidæ, CartONG & Julien Ancelin (INRA), the creator of GeoPoppy. You are also invited to participate in the evening event on data sharing hosted by AFD on Monday 29/10 and take part to the conference-debate on How to track and measure Sustainable Development Goals on Tuesday 30/10. ESRI® is dedicated to solve real-world problems using geographic information systems (GIS). Our mapping and analytics connect everyone, everywhere through a common visual language that inspires positive change in industry and society. As part of GeOnG, ESRI will facilitate its own workshop "Integrated GIS to support field operations" - featuring technologies such as Survey123 for ArcGIS, Collector for ArcGIS, Operations Dashboard for ArcGIS, etc. - on Monday 29/10. You can also meet them at their booth for the duration of the GeOnG. 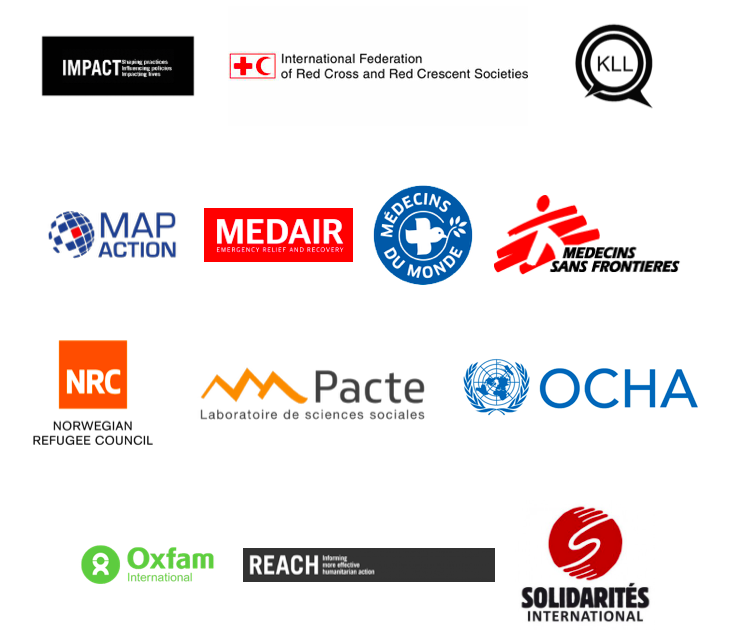 Novel-T is an actor of choice for the delivery of quality services and innovative solutions to the key global and national actors in the public health and humanitarian domains worldwide. As part of the GeOnG, Novel-T will lead a speedgeeking session on the theme of optimizing vaccination campaigns through geospatial analysis on Tuesday 30/10. You can also meet them at their booth for the full duration of the GeOnG. Gnucoop Soc. Coop. is an Italian IT company specialized in software, web, mobile and application development, database and systems administration. As part of GeOnG, Gnuccop will lead a workshop on DEWCO, a data collection and visualization tool, as well as a speedgeeking about Yago, a GIS platform for natural disaster risk reduction, on Tuesday 30/10. You can also meet them on their booth for the full duration of the GeOnG. 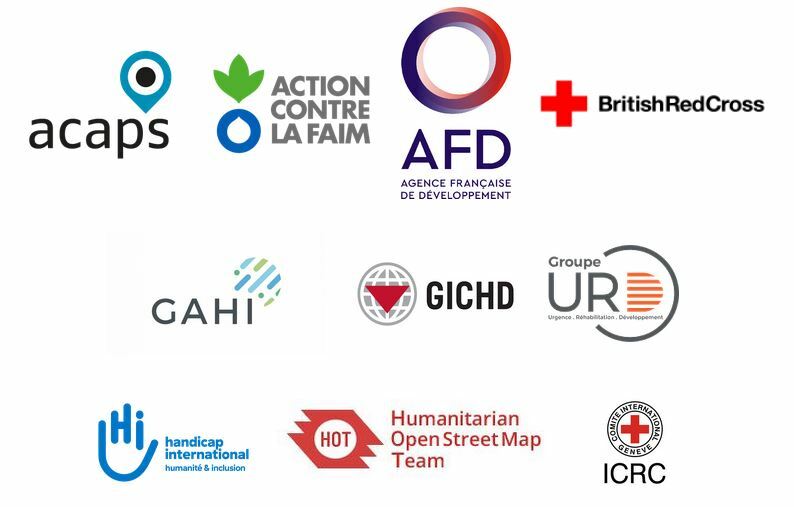 We also thank our Silver partners: Aptivate, CamptoCamp, Geo212, Magellium, Mangologic, Mapbox, Picterra & RSM, as well as the City of Chambéry, and Geodesk who sponsors the travel of the Kathmandu Living Labs. Spread the word! Use the buttons below to spread the word about the 2018 GeOnG Forum by email and on social media.